It's been a while since I last walked through Red House Farm, last night I walked the dog through the area and was pleased to find it carpeted in wild flowers. One in particular caught my attention. The Bee Orchid Ophrys apifera. This was the first time I've seen this species, making it even more special that I found it on patch! I could only find two plants in the immediate area. 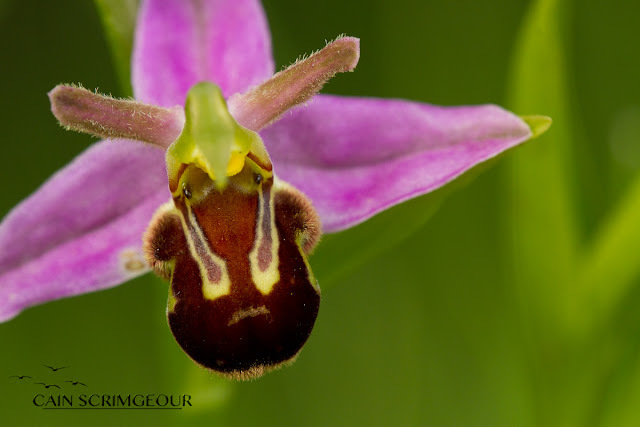 Instantly recognisable the Bee Orchid appears to have a bumble bee resting on its petals, this is in fact the lip of the flower, adapted with the purpose of attracting a male bee to pollinate the flower. The false bee resembles a female bee, which male bees are attracted to, and in turn try to mate with the false flower, which allows the transference and pollination of the plant. 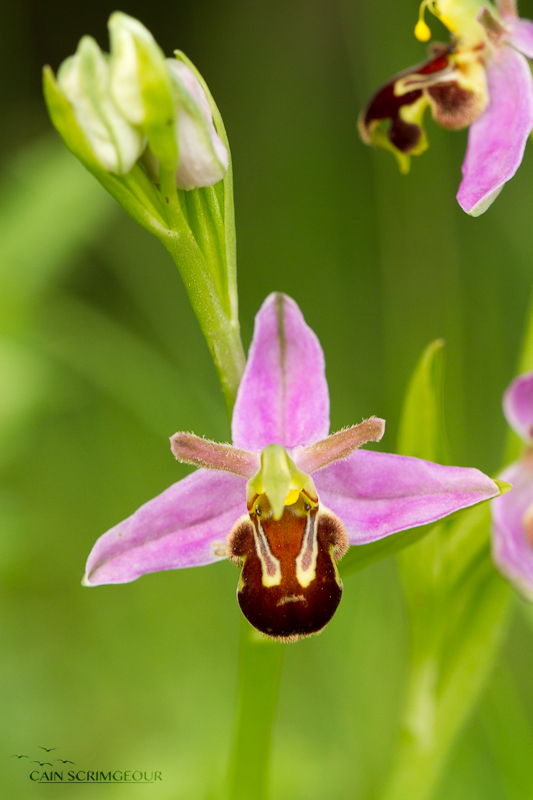 Although it is written that in British Bee Orchids the plants usually pollinate themselves. Cheers, unbelievable to see so close to home ! And what first class images. Simply brilliant! They are stunning plants but quite easily overlooked. I've been waiting for them reappearing but they can lie dormant for a few years after previously appearing somewhere. It's amazing where they pop up. I saw mine at Cobalt Park the old pit heap site and oi know they appear in the vicinity of Shibdon Pond. A cracking subject for photography nicely captured by your good self. Keep it quiet exactly where you found them Cain as some morons go digging them up. Really stunning. I read about their long dormant spells, still can't believe I found them here. I had a feeling whilst reading the literature that digging them up might be on some peoples minds, but thanks for the heads ups. The fact that the species they attract doesn't exist within the UK is amazing, more reading needed I think ! Counted at least 16 at Rising Sun CP today, and that wasn't a very thorough search. Of "their long dormant spells" - given that they're appearing on old pit heaps, it suggests they're colonising from further away, not growing from dormant seeds (don't think the seeds can have been dormant since the Carboniferous!). It's not a rare species nationally, just that Northumbs is at the northern edge of their range; they are likely benefiting from global warming. Last one I saw was at the reserve at Bempton Cliffs. 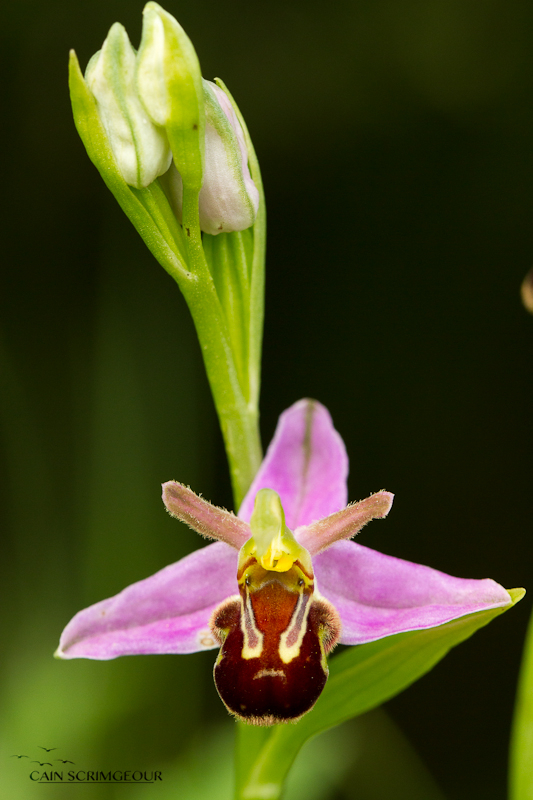 Of the less common orchids, I believe the Bee-Orchid is one of the more hardy and opportunistic. I'm wondering if the heavy rains of late have come at the right time for some orchid species to flourish as the other day I found a very large Common Spotted Orchid (I mean really large) and have numbers of common/hybrid orchids growing on the grass verges on the estate. Should say 'did have' until the grass cutters came round! John's certainly right about the diggers. Orchids seems to be a major target. You may remember me telling you that the quarry we visited last year had been targeted. I equate the people who do this along with bird egg thieves (thoughtless and selfish). 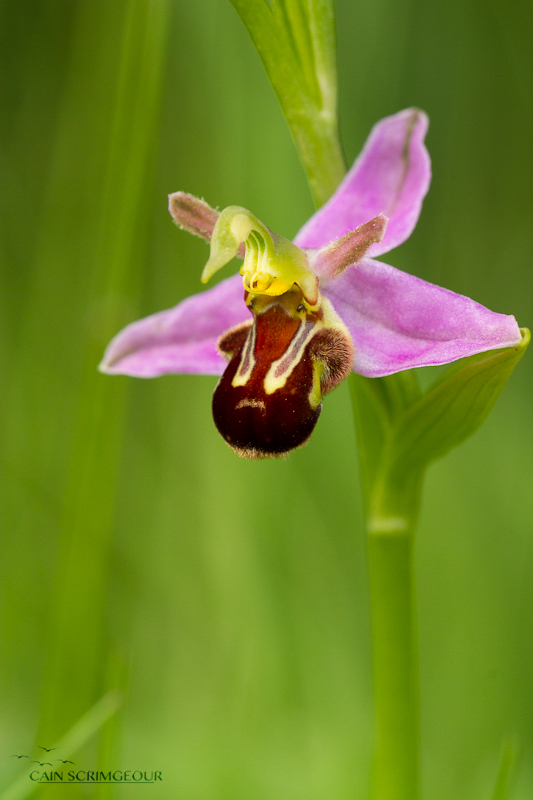 Thanks Brian, you definitely do :) I've seen a fair few commoner orchids around this year, one site nearby is covered in them! I can remember you saying about the quarry, unbelievable what some people will do.